The School of Adult and Graduate Education at Cedar Crest College develops strong learners and leaders by creating opportunities that will empower you to rise beyond your circumstances and take the next steps to change your life. We provide students with real-world learning opportunities that will prepare you for life and work in a cutting-edge and ever-changing market and ever-changing world. Explore how SAGE can help you discover how to apply your unique gifts and reach bolder and braver goals to prepare for significant achievement now and in the future. We offer one of the most generous transfer credit policies in the Lehigh Valley as well as transfer scholarships to make the price of your Cedar Crest College education even more affordable. If you have completed an associate of arts, associate of science, or a bachelor’s degree at a regionally accredited institution, you will not be required to take additional general education courses. Up to 68 credits can be transferred from a community college and up to 90 credits from a four-year college or university. Our experienced financial aid advisors will be available to explain all of your financing options and help you maximize your financial resources. We offer a Transfer Scholarship to eligible students as well as tuition discounts through our Pathways to Professional Excellence program. We also have a tuition reimbursement deferment program available for students who receive tuition benefits from their employer. Our caring and qualified professors are experts in their fields. Many of them were adult learners themselves, so they understand the unique challenges you face in continuing your education. Your faculty advisor will mentor you throughout your program of study. 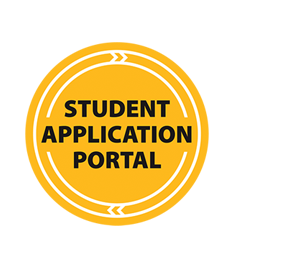 With our rolling admissions policy, you can apply and begin classes at the best time for you. A dedicated admissions advisor will guide you through the application process, meet with you to discuss your program of interest, and evaluate your transcript to determine your transfer credits. It is never too early to start planning for your career and for taking charge of your future. The Career Planning Center staff are available to help you with resume and cover letter writing, interviewing skills, conducting a successful job search or applying to graduate school. You determine the scheduling options which work best for you. You’ll find hundreds of courses offered throughout the year in our fall, spring, winter, and summer semesters. We offer accelerated, weekend, and full-semester classes. You can take courses on campus, online, or in a hybrid format which combines onsite and online learning. The degree and certificate programs offered through the School of Adult and Graduate Education are those in high demand by employers. The skills and knowledge you gain through our strong academics and real-world experiences will be relevant in the workplace. Our students are well prepared to start a new career or to advance in their current organization. Adult students are encouraged to participate in a wide variety of activities on campus. You may choose to join a club, play a varsity sport (women students), perform in a production, or serve in the student government. The Rodale Aquatic Center is available to students and one guest during open pool hours at no charge. The Fitness Center is open 24-hours daily and fitness classes are offered throughout the week at no charge. Cedar Crest provides focused services to ensure students are cared for and thriving. You can choose from a variety of support services to help you hone your skills to prepare for significant achievement now and in the future. The Academic Services Office provides peer and professional tutors, 24/7 online tutoring, academic advising, accommodations for students with disabilities, and writing support. The Information Technology staff hold workshops and offer individual tutoring sessions throughout each semester on technology topics. All of this is available to you at no cost.